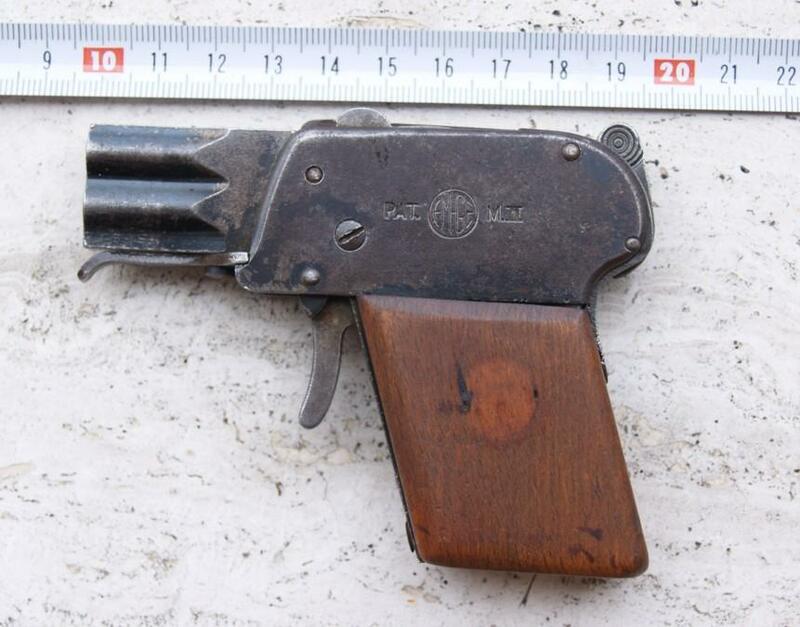 This small pistol with two barrels is a species of toy, which of origin was planned for cartridges with annular percussion cal 6 mm, (only alarm and noise) but, which existed also of gauge 22 shorts. 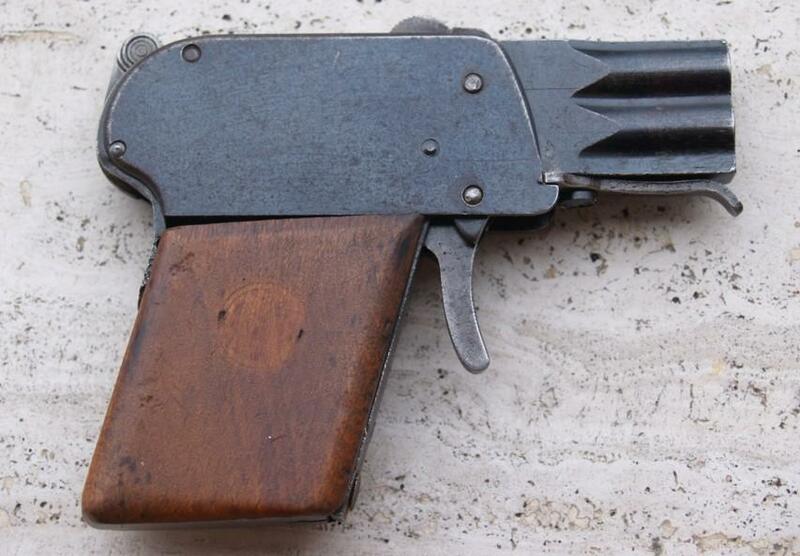 Produced in the years approximately 1920, in Germany, by the factory EmGe (which continued the production of guns “of alarm” until our days), the two brass plates on the sleeve were lost, the loading is done by lever with the top of the barrels which allows the rocking and the introduction of the cartridges. 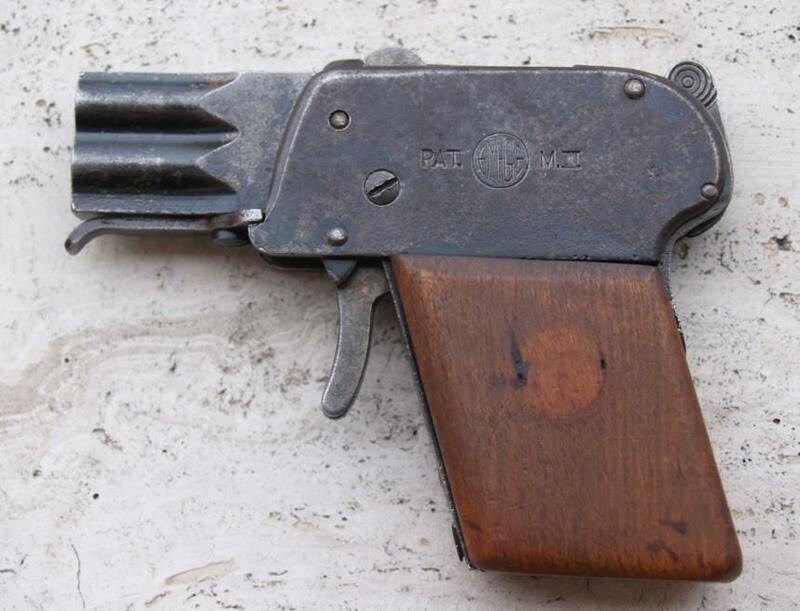 The false hammer with the back is used to charge the two strikers which one sees in top on the breech. 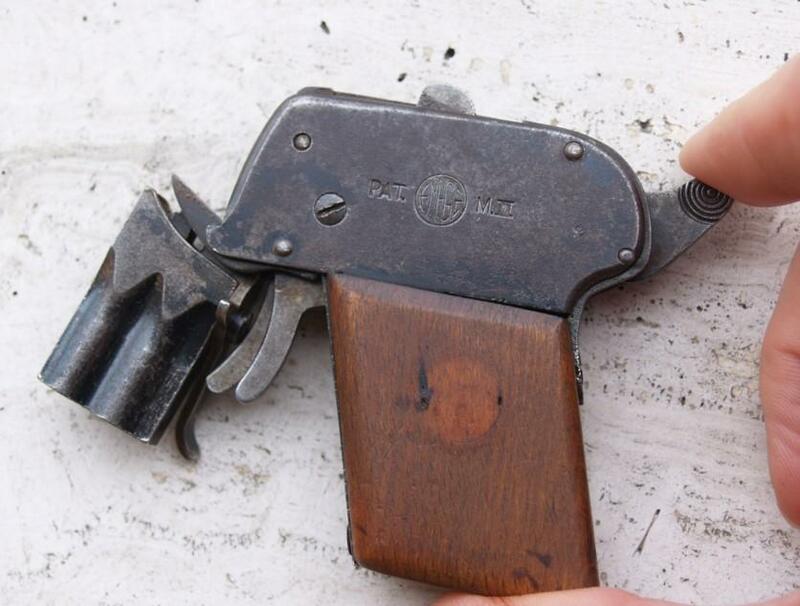 The trigger is double. 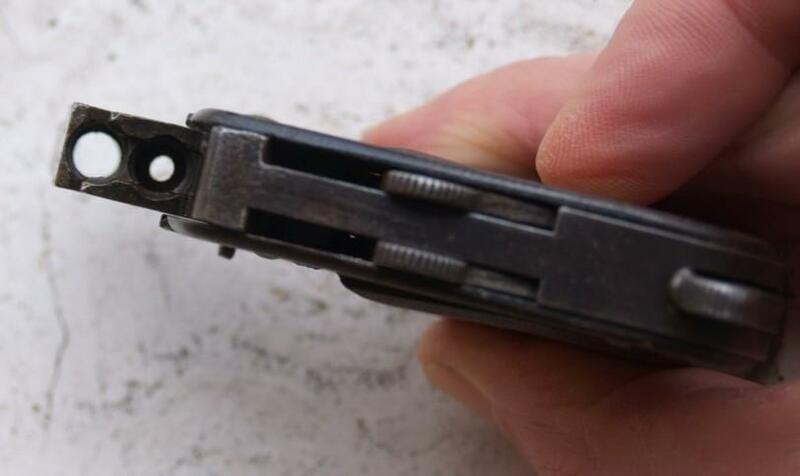 One of the two barrels was bored, at the house, with a cutting chisel to insert one .22 short. That it is all that I know. 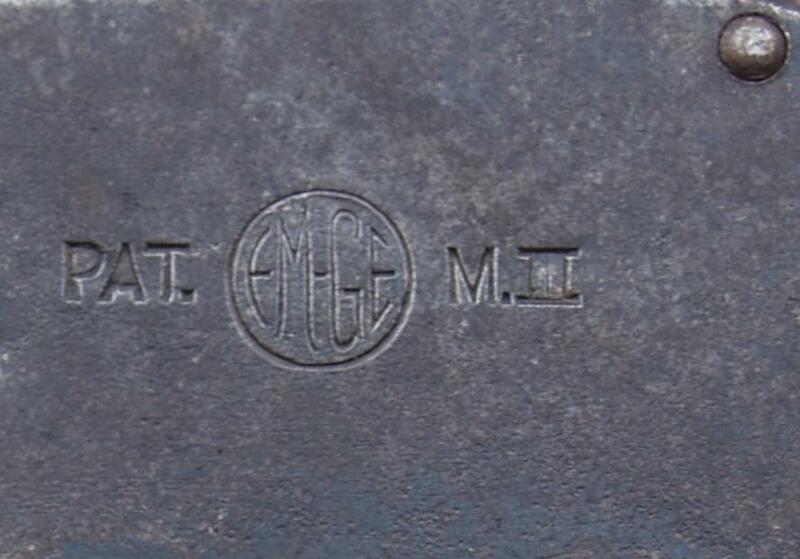 Under identified German guns you list EmGe the correct abbreviation is EMGe and it means E. Moritz & Gerstenberger. 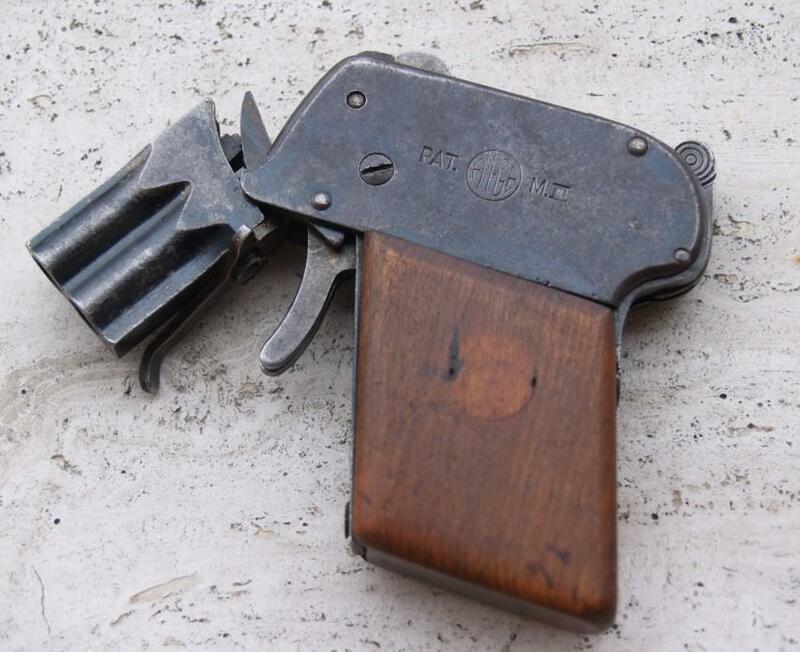 I think the most dangerous thing they made was scheintod pistols that also are a kind of blank firing pistol, like all other EMGe guns I have see, and that is a lot.